Data Centers: When Power Is Lost, So Is Revenue. Data centers and cloud storage are integral components of the digital age. Customers of data centers, both businesses and individuals, demand uninterrupted access to their information, so centers must be operational 24/7/365. Ensuring a consistent supply of power is critical – a daunting task when you consider an industrial-sized data center can pull as much electricity as a small town. Lost power equals a loss in revenue. Imagine how complicated it would be to commission an electrical power management system (EPMS) for the nation’s third largest data center with multiple entities involved, including design, construction, engineering, integration, installation and testing. Now imagine completing the task in 90 days. That’s exactly what faced Affinity Energy when called upon by Quality Technology Systems (QTS), one of the premier data center operators in the world. The 370,000 sq. 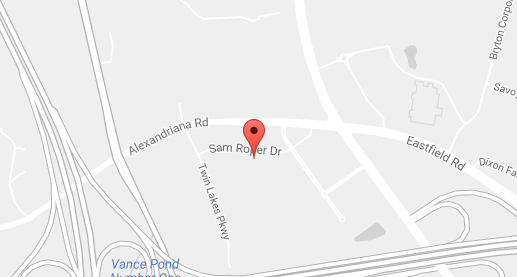 ft. QTS Atlanta-Suwanee Data Center in the north suburbs of Atlanta is home to some of QTS' largest customers. The data center is powered via four independent redundant Georgia Power feeds totaling 36 MW, has a cooling system with over 200 30-ton Lieberts, and 12 2.0/2.6MW backup generators. The commissioning of the EPMS was the smoothest that I have ever experienced. Affinity Energy engineers demonstrated professionalism and responsiveness that is hard to find in today’s fast-paced, high-pressure construction environment. –Brandon Sedgwick, P.E., Project Manager, Hood-Patterson & Dewar, Inc.
At their Atlanta, Georgia facility, QTS needed new template architecture for their uninterruptible power supply (UPS). This system keeps the data center running in event of a power outage, giving onsite generators time to activate. Every second of downtime is lost revenue, so flawless integration is a must. Affinity Energy provided EPMS integration services, building an electrical/environmental monitoring SCADA system on an existing Wonderware platform. Because of problems with past templates from another integrator, Affinity helped rebuild six new templates and the associated graphics for each piece of equipment. On such a tight schedule, which included Thanksgiving and Christmas holidays, Affinity Energy knew excellent organization and communication were imperative to keep the project moving briskly. Affinity worked closely with QTS personnel to determine how each piece of equipment was to be configured, and gathered the appropriate networking data to ensure all devices and programs communicated perfectly. 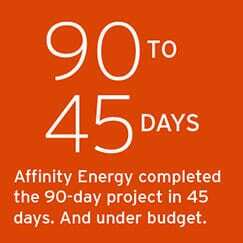 Thanks to seamless collaboration with all parties involved, Affinity Energy was able to complete the 90-day project in 45 days. And under budget.